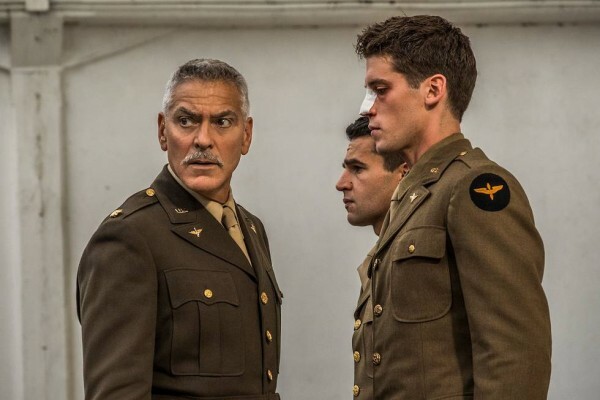 Hulu has released the first trailer for our upcoming series “Catch-22,” and set an airdate of Friday, May 17. George Clooney—who also executive produced and directs—stars in the series based on the acclaimed Joseph Heller novel. “Catch-22” follows the adventures and misadventures of a US air squadron in Italy in World War II. Yossarian (Christopher Abbott), a bombardier, whose frantic obsession every time he goes up on a mission is “to come down alive”. His odds of success at such a simple aim keep getting worse because Colonel Cathcart (Kyle Chandler) keeps raising the number of missions the men have to fly. More than the retreating Germans, the real enemy for Yossarian and his rag-tag bunch of friends is the bureaucracy of the military, inverting logic at every turn. The pinnacle of this is Catch-22, a military by-law which states that if you fly your missions, you’re crazy, and don’t have to fly them; all you have to do is ask. But if you ask not to, then you’re sane, and so you have to fly them.